Cut out all of the white from the template. You will be left with the pumpkins border shape. Place the pumpkins shape onto a self-laminating sheet or contact paper, construction paper side down. Fill the inside of the pumpkins with tissue paper. Cut out the pumpkins from the laminating sheet or contact paper. Stick the pumpkins to your window with double-sided tape. This entry was posted in Bible Crafts, Holiday Crafts, Thanksgiving and tagged give thanks, holiday, pumpkin, pumpkin craft, pumpkin sun catcher, sun catcher, thankgiving, thanks. 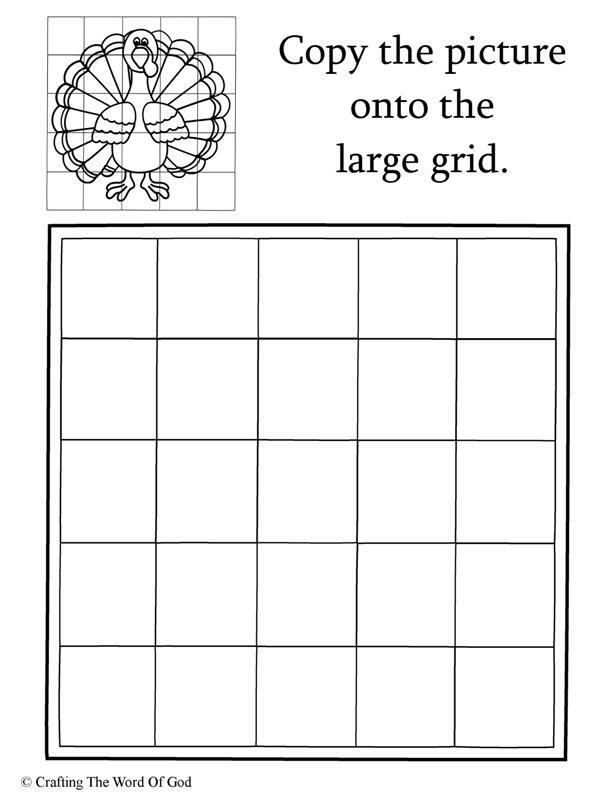 This entry was posted in Bible Crafts, Coloring Page, Holiday Crafts, Printables, Thanksgiving and tagged blessings, coloring page, count your blessings, Fall, holiday, thanks, thanksgiving, turkey, turkey coloring page. This craft is a great way to add a festive touch to your Thanksgiving celebration. Color and cut out the corn. Glue the corn onto the paper plate circle. If you use the kernel template, you can glue corn seeds onto the corn. If you use the blank template, you can glue popcorn onto the template. This entry was posted in Bible Crafts, Holiday Crafts, Thanksgiving and tagged corn, decoration, holiday, thanks, thanksgiving, wreath. 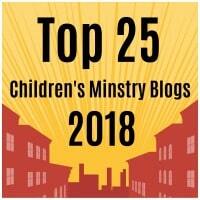 This entry was posted in Activity Sheet, Bible Crafts, Holiday Crafts, Printables and tagged activity page, bear, connect the dots, grattitude, holiday, leaves, pilgrim, print out, printable, thanks, thanksgiving. 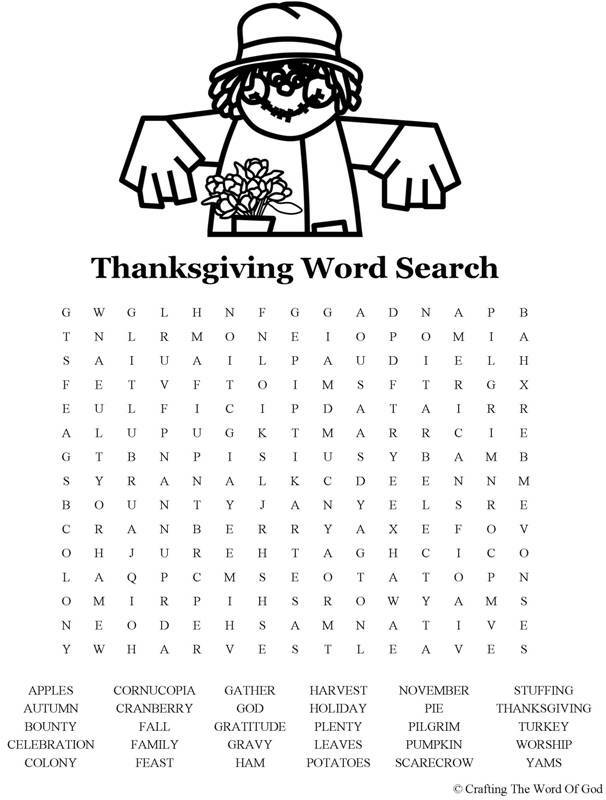 This entry was posted in Activity Sheet, Holiday Crafts, Printables, Thanksgiving and tagged holiday, thanks, thanksgiving, Thanksgiving word search, word search. This entry was posted in Coloring Page, Holiday Crafts, Printables, Thanksgiving and tagged coloring page, give thanks, give thanks to the Lord, holiday, thanks, thanksgiving.